Since the invention of wristwatches in the 19th century, people have been glancing at them to track time; a changing number thats universally important to everyone. We believe the logical step for a smart watch is to enable its user to track other changing numbers that are more personal and uniquely relevant to the user. As the core aim of Numerics is to aggregate and present numbers and business performance indicators relevant to its user from any possible source, presenting these numbers on smart watches and wearables has been a part of the plan since conceptualisation. A wearable smartwatch is the perfect extension to Numerics. The quick micro interactions with the watch are perfect for consumption of the bite sized information presented by Numerics. And for a lot of practical, day to day use cases, the quick accessibility and availability of your KPIs on your wrist could make all the difference between knowing them at a critical time or ignoring them completely. 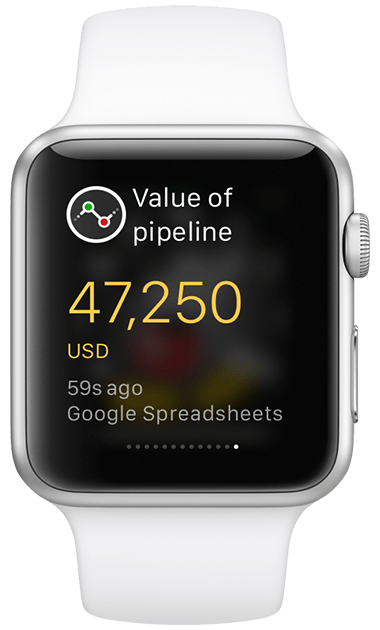 Ever since the Apple Watch rumours started doing the rounds on the web in mid 2014, all of us at Cynapse have been excitedly dreaming about getting our key performance indicators on our wrists. 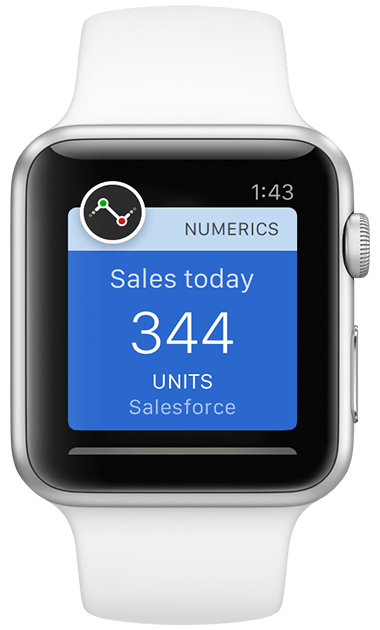 On the day Apple announced the availability of the Watch Kit SDK for developing apps for the Apple Watch, the Numerics team dived right in! We have always believed that an app experience has to be completely re-ideated and redesigned for each device platform it works on. 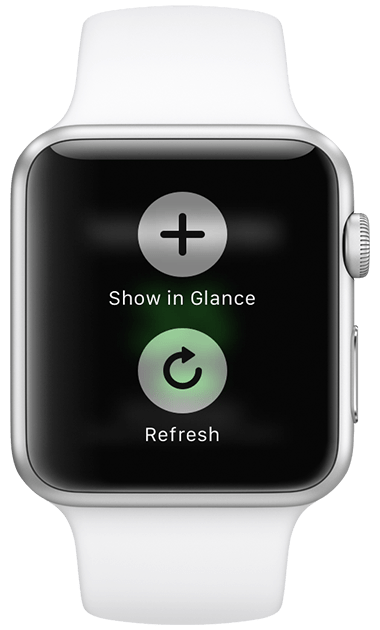 In the last 5 months we have been very secretly hard at work in creating what we believe is going to be one of the most useful apps for the Apple Watch. 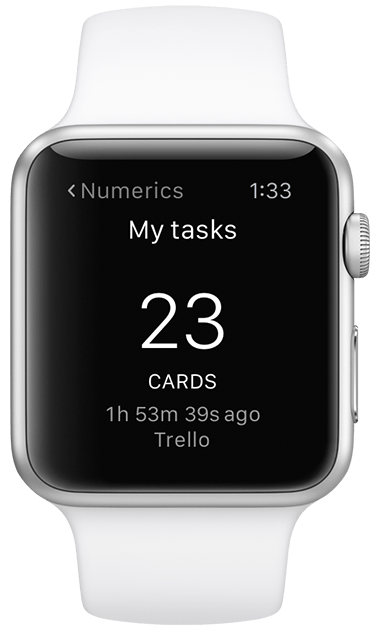 And we are very excited to reveal our newest creation today: Numerics for Apple Watch. The iPhone and Apple Watch versions of Numerics work together rhythmically. Select metrics from the Numerics iPhone app to be shown on your watch or to get alerted on changes. Scroll through your numbers using the digital crown. Watch your Numerics notifications turn into rich widgets just by lifting your wrist to look at them. Choose your most important widget to be available as a Glance, then, just swipe up from the watch face to stay on top of the number you seek out the most. 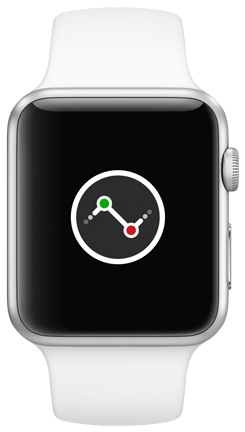 Start with looking at a number on the Apple Watch, then continue on your iPhone with a swipe from the lock screen to zoom into the data. It’s one app that moves with you from your wrist to your palm and back again. 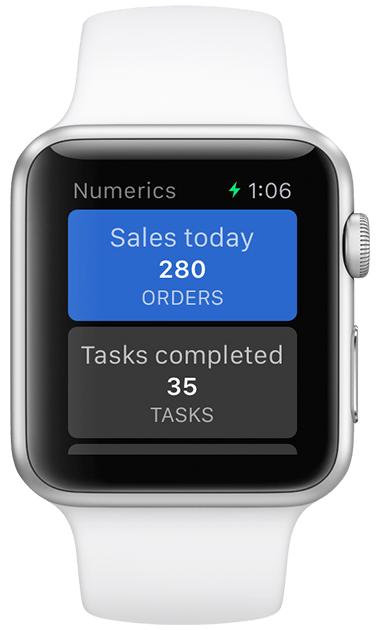 We’re incredibly excited to announce that Numerics will be available on the Apple Watch App Store at its launch. In the meanwhile, you can download Numerics and set it up on your iPhone if you haven’t already, to prepare for newfound capabilities of your wrist! Learn more about Numerics for Apple Watch here. Stay tuned for more updates.